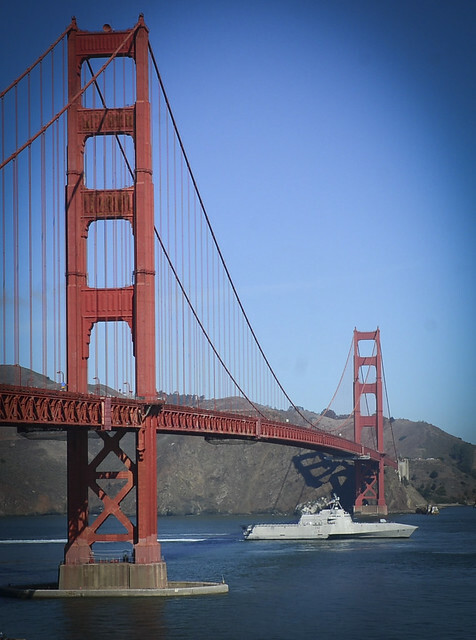 The Independence-variant littoral combat ship USS Manchester (LCS 14) transits under the Golden Gate Bridge in the annual parade of ships event during San Francisco Fleet Week 2018. 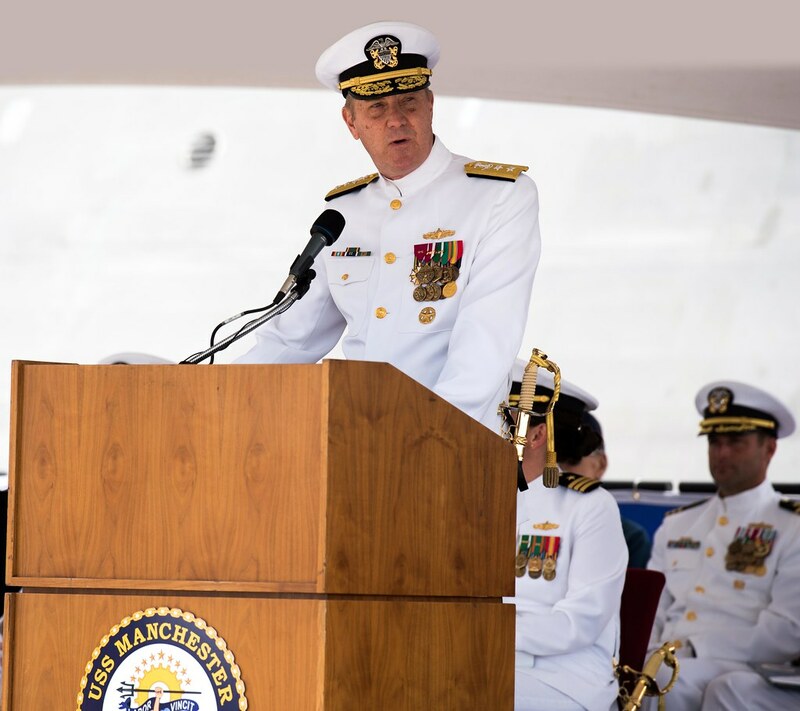 PORTSMOUTH, N.H. (NNS) -- The littoral combat ship USS Manchester (LCS 14) was commissioned as the Navy's newest surface combatant in a ceremony in Portsmouth, May 26. The newest littoral combat ship, the Independence variant USS Manchester (LCS 14), arrived at her San Diego homeport, June 19, after completing her maiden voyage from the Austal USA shipyard in Mobile, Alabama.